GLANDORF -- Dorothy A. 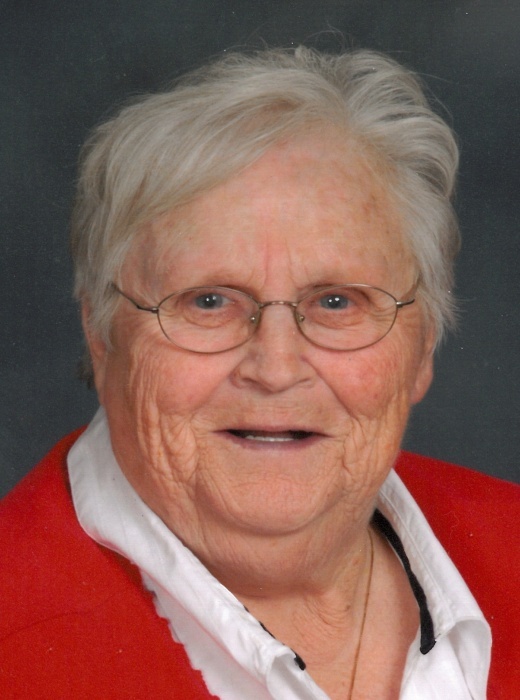 "Dottie" Hovest, 87, of Glandorf died 1:30 a.m. Friday, April 5, 2019 at the Meadows of Ottawa surrounded by her family. She was born June 18, 1931 in Ottoville to the late Joseph and Dorothea (Vincke) Van Oss. On April 11, 1953 she married Stanley "Tip" Hovest, who preceded her in death on June 12, 2001. She is survived by 5 children: Geri Lynn (Duane) Ricker of Glandorf, Gerard "Barney" (Tonia) Hovest of Pandora, Geni (Kevin) Keiser of Ottawa, Garrett Hovest of Chicago, IL and Cindy (Dan "Beaver") Hovest of Ottawa; 11 grandchildren and 12 great-grandchildren with 1 on the way. She is preceded in death by a grandson: Benjamin Hovest and 7 siblings: Alberta Van Oss, Virgil Van Oss, Carmelita Van Oss, Edmond Van Oss, Mary Agnes Miller, Mary Elizabeth Leist, Joseph Van Oss and John Van Oss. Dottie was the co-owner of Plump and Pretty, formerly of Ottawa and an administrative assistant at the former Otterbein, Leipsic. She was known for her radio shows "Today in Putnam County" and "Dottie's Polka Time" on FM106.